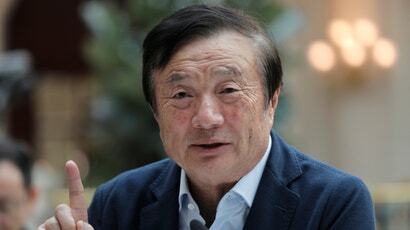 Amid a firestorm of legal and political salvoes fired at Huawei by the U.S. government, Huawei CEO Ren Zhengfei insisted this week that “there’s no way the U.S. can crush us” while denying that his company will give China’s government backdoor access to its next-generation 5G network. In the next few weeks, Canadian courts are expected to decide whether to comply with an extradition request for Meng to stand trial in U.S. federal court on 13 criminal charges. And while the circumstances are extremely personal for Ren, Huawei has become a flashpoint in the ongoing U.S.-China trade war — one that appears to be testing the U.S.’s ability to bring international allies onto its side. Huawei is the world’s largest manufacturer of telecom equipment, making it an important player at a time when nations around the world are building out lightning-fast 5G networks that are expected to revolutionise global communications. For the last year, the Trump administration has insisted that Huawei cannot be trusted because it could be forced to give the Chinese government backdoor access to foreign networks. Ren pushed back on that assertion. “The Chinese government has already clearly said that it won’t install any backdoors,” he told the BBC. “And we won’t install backdoors either.” He added that he would shut the company down if it were forced to implement backdoors access for the purpose of spying. The U.S. government has had a serious distrust for Huawei’s technology for many years, most recently marked by charges levied by the Justice Department against Huawei in late January over alleged theft of trade secrets, obstruction of justice, and sanctions violations. Ren may insist that Huawei would never help Chinese espionage operations, but he hasn’t offered any particular assurances that could be independently monitored. All companies operating in China are required to cooperate with the government and have a Communist Party committee in their corporate infrastructure, and Ren confirmed to the BBC the existence of such a committee at Huawei. And last week, Secretary of State Mike Pompeo warned that countries that decide to use Huawei equipment could risk losing partnerships with the U.S. government. But the Trump administration’s weakness in diplomacy is beginning to show. America’s closest ally, the United Kingdom, has expressed confidence that its intelligence services could handle any security risks posed by Huawei equipment, opening the door to a break with U.S. demands. And in recent days, New Zealand, Germany, and Italy have all signalled that they are open to working with Huawei on new 5G networks. Still, the Trump administration is expected to issue an executive order banning Huawei equipment from U.S. wireless networks. Because American telecoms like AT&T and T-Mobile have already said they won’t be using the company’s equipment, the order would be unlikely to have much of an effect on Huawei’s bottom line.